Properties in Government House average 4.5 out of 5 stars. Property 5: Cosy country cottage in rural setting. Property 9: Self contained cottage with own access. Luxury cottage and pool, set on native bush block. 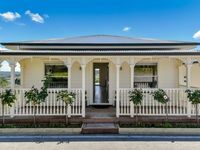 Property 16: Luxury cottage and pool, set on native bush block. Auckland city fringe suburb. Private space with separate entrance. Property 36: Auckland city fringe suburb. Private space with separate entrance. Romantic villa with amazing views. Property 37: Romantic villa with amazing views. Thank you for all the food &amp; care for our stay. All of the furniture is extremely luxurious and the outlook is incredible. I enjoyed my weekend at the gorgeous cabin. 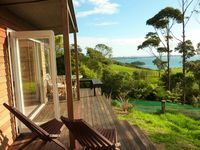 I booked the cabin as I needed accomodation for two couples for a wedding at Mudbrick vineyard and I was not disappointed. The cabin is directly opposite the driveway to the vineyard, so a quick walk home after the reception. The cabin also isn&rsquo;t too far from Cable Bay winery (walking distance if you&rsquo;re that way inclined). I would happily stay again.